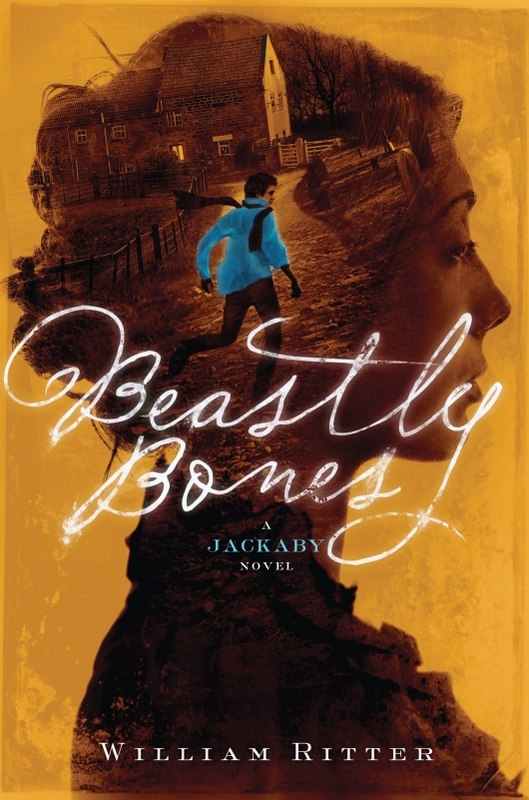 The following is what happened when I casually remarked to my wife and daughters that I planned to write a review of BEASTLY BONES, the second book in William Ritter's Jackaby series, a series for which my family is currently head over heels. It's easy to see why they love it so much, with its shades of Don Quixote, Buffy the Vampire Slayer, Grimm, and most of all Sherlock, Ritter has made a spectacularly off-kilter world that my girls enjoy visiting over and over. When I made my announcement, we were all in the car, driving to a little orchard just across the New York border to get our apple pick on, and by the time we were home again, our bellies and car full of apples, cider, and donuts, the ladies in my family had created this, an informative and surprisingly accurate BEASTLY BONES quiz. So, while it may be a bit of a stretch to call it a review, it's certainly a fair bit better than anything I'd have produced myself. I hope you enjoy it as much as I do. Who will be your favorite character in BEASTLY BONES? Take our quiz to find out. 3. Choose your breakfast for tomorrow. 4. Which of these best describe you? 5. Choose an animal for a pet. So who will be your favorite character in the second Jackaby novel? Do you have between 5-9 points? Your favorite character will be Jackaby: Like Mr. Jackaby you are single minded and determined. You like to experiment because you are inquisitive. You can see things other people can’t and you don’t care about other people’s opinions. Your favorite character will be Abigail Rook: Like the narrator of this book, you are very determined and intelligent. You always want to be in the midst of exciting things. You make friends easily and are always ready to help others. Your favorite character will be Charlie: The face you show to the world is often very different than your inner persona, just like Charlie. Also like Charlie you are compassionate, loyal, empathetic, and ready to protect others. Your favorite character will be Nelly Fuller: You have a strong personality and long for adventure. Like this character whose name is an obvious play on Nellie Bly, you want to see more and do more. You are wise beyond your years and ready to mentor others. Your favorite character will be Hank Hudson: Your life is ruled not by the calendar or the clock but by the climate and seasons. Although you are often on your own, you have life-long friends who enjoy your company and depend on your strength. To see if this totally unscientific quiz is correct, do yourself a favor and pick up BEASTLY BONES and find out! For the record, I'm Charlie. I'm Nelly, which really tickles me.